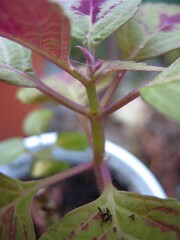 As I was planting my Coleus into pots on Sunday, I noticed that two of my Coleus were a little unusual. 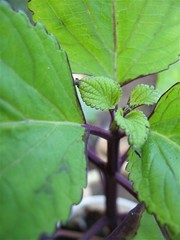 Instead of the usual two leaves per node, these had three leaves per node. Hmmm? Mutants? 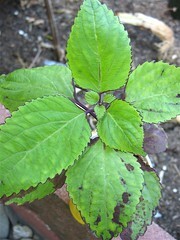 …the other was ‘Velvet Lime’ cutting from last year. 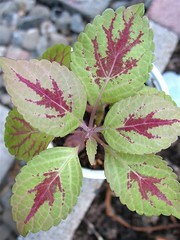 This entry was posted in Uncategorized and tagged coleus, coleus dark star, coleus velvet lime, mutant. Bookmark the permalink.